We are the official Florida Gator Club Location. Come join us at one our viewing parties! 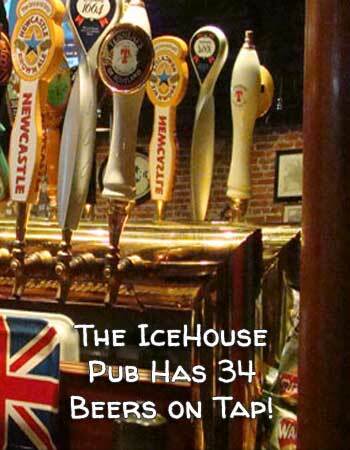 New - See 'inside' the IceHouse Pub, an authentic English styled pub, located in the heart of Punta Gorda. The IceHouse carries the finest and tastiest South African Wines. Including Morgenhof Mint Haven, that scores a 90 on wine enthusiast. Come relax and enjoy our outside patio. Take home a growler today!. The IceHouse now has a package license for all your takeout needs. Quart and gallon growlers available. Get Gift Cards from the Icehouse mailed to your door. 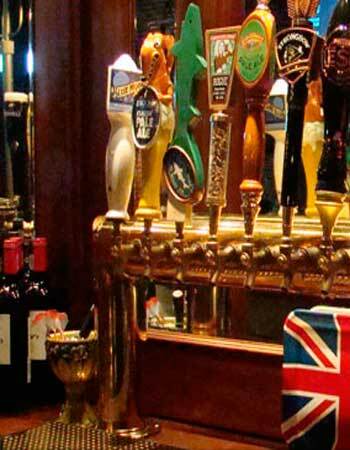 Behind the 37 foot long mahogany bar are 26 taps dispensing the best beers from around the world like Guinness, Harp, Boddingston's, Stella Artois and Kronenbourg 1664, along with many American favorites like Yuengling, Blue Moon, Sierra Nevada and Dales. Here at the Icehouse Pub, we have rotating taps year round to keep it fresh and interesting. Some are seasonal, some are rare and all are quite delicious! Stay up to date on what's flowing next by joining us on facebook/twitter. Every Saturday starting at 8PM. Everyone is welcome to play! Sign up is at 7:30. Start time 8pm. 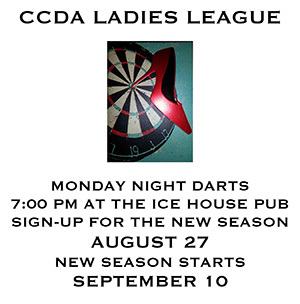 Don't be intimidated by the term "LEAGUE," beginners are always welcome! We will teach you everything you need to know, guide you through a couple games and remind you that its not always about the skill or about winning the round. Its really about the fun of it! Paint Night comes to the IceHouse Pub. 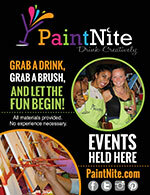 Grab a Drink, Grab a brush, and let the fun begin! Send in pics of your IceHouse Swag/Fashion. Whether in a different country; at a national monument, or another pub! Enter your email and a brief description below, and let us know where you have been! "The first draught serveth for health, the second for pleasure, the third for shame, the fourth for madness." The IceHouse has Free Wireless Internet!